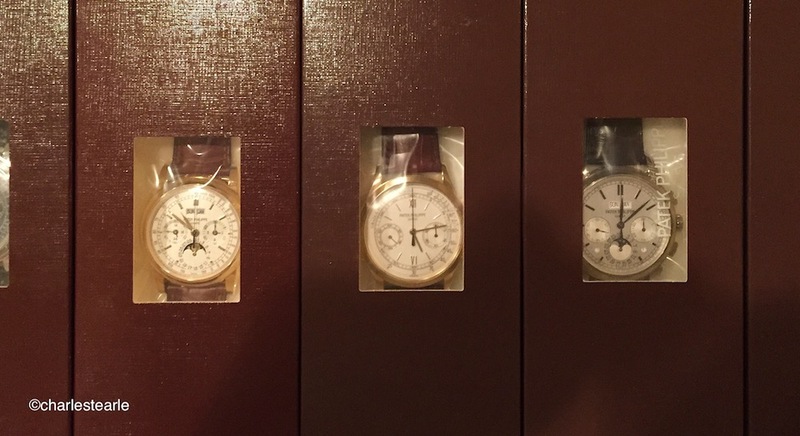 In the 1990’s an early 2000’s Patek Philippe made no secret they would bid at auction, usually successfully, on their own historically important vintage watches in an effort to build inventory for the (2001) ’Patek Philippe Museum’ in Geneva. The fact that they had such deep pockets and knew the history of each watch, meant they usually bid a hefty premium and made the news as vintage watch prices started to seriously escalate.In the 90’s every top lot reported at auction, almost without exception, was a Patek Philippe. You just can’t buy that sort of reputation and it secured them as the worlds foremost respected watch manufacturer, but, well, you can, obviously, buy that sort of reputation. In later years Omega started buying back their own watches at auction to build a museum, even going as far as to assist in the highly publicised Antiquorum OmegaMania auction in 2004. While Patek Philippe were usually publicly quoted as being the buyer of significant watches, Omega were less forthcoming about their participation. That said, Omega has every right to bid and buy at auction and no doubt still does, regardless though, they won’t buy just anything, only significant pieces they would put into their own museum. This accepted and known practice of prestigious Swiss manufacturers bidding for their own vintage and highly collectible watches at auction didn’t muddy the waters, other than perhaps to dissuade some collectors from bidding when they assumed they would be against Patek Philippe, they simply knew they wouldn’t win. 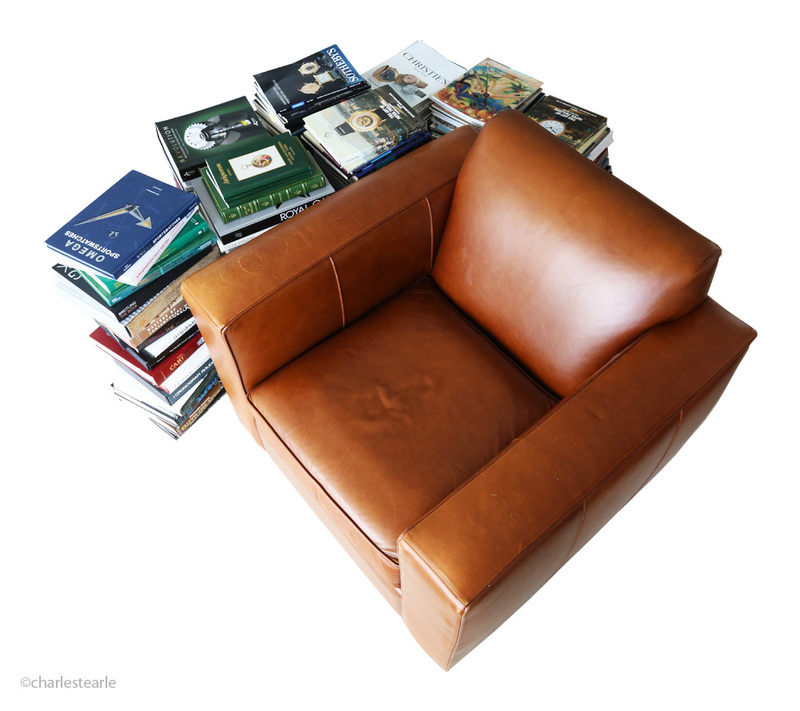 Everything changed though when a French journalist for the Wall Street Journal, Stacy Meichtry, published an article in 2007 titled ‘How Top Watchmakers Intervene in Auctions’. The article suggested that manufacturers were buying back their own watches to artificially inflate prices and create demand. The article is one of the worse pieces of watch journalism I have ever read and so factually incorrect regarding both the manufacturers participation and the auction process, it is amazing the WSJ ever published it, or weren’t sued. Even the title was incorrectly written. Amazingly, it’s still available online here. Overall, the participation of watch manufacturers bidding at auction was written in a very scandalous way, and, well, the Swiss really don’t like scandals. It didn’t mention Patek Philippe also bid and bought watches from other makers it wanted for it’s museum and made it sound, at least to the average reader, like they were in cahoots with Antiquorum to bid on every watch at auction and fool collectors by driving up prices, which was a lie, or certainly misleading. To the casual reader it was a bombshell and changed the way manufacturers bid at auction. Ever since the publication Patek Philippe stopped allowing the auction houses to announce their purchases to the press, initially changing the wording to “purchased by an private museum’ and then to simply requesting privacy. The same for Omega, Stacy Meichtry turned what was once an accepted and acknowledged practice of transparency, into secrecy. Which brings us to Rolex S.A.
Rolex are known to be perhaps the most secretive of Swiss watch companies, for good reason. When the founder of Rolex, Hans Wilsdorf died in 1960 with no heirs, he left his 100% ownership shares to the Hans Wilsdorf Foundation (founded in 1945). This means the profits from Rolex are re-invested back into the company and they’re not obliged to release financial details, it’s also why they spend more money on advertising the any other watch company, something like US$80 million in 2018 and donate an unknown figure to numerous worthwhile events and charities. With an estimated US$8 billion value, Rolex really is unlike any other watch company. Ever noticed you never see a Rolex advert on the inner pages of a glossy magazine, only on the back or inner covers? When you spend the most, you demand the most. 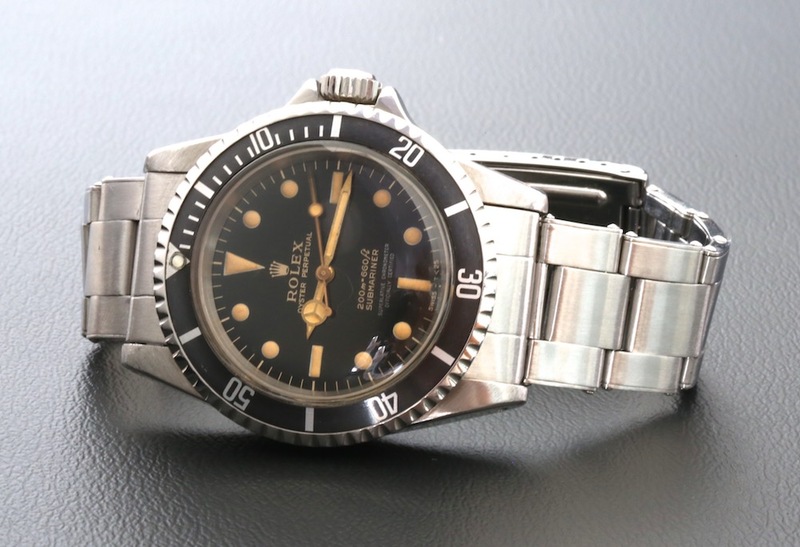 It’s well known within the industry Rolex have been quietly bidding and buying at auction for some time and purchase rare examples from select dealers; but it’s always very quietly. 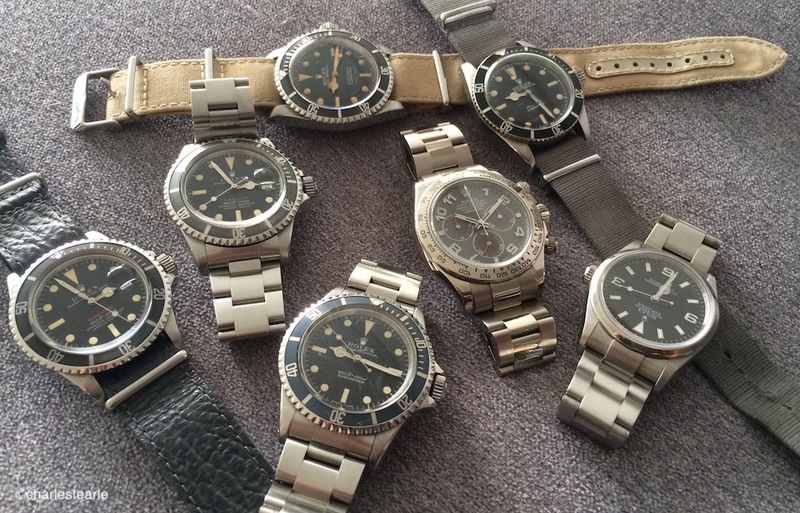 It’s also rumoured recently they’ve been acquiring watches with strong provenance. Which is why, in New York on October 26, 2017, when (ex) Phillips Geneva representative Dr Nathalie Monbaron bid $15.5 million (US$17.8 million with auction fees) for the Rolex Daytona ‘Paul Newman’ given to Paul Newman by his wife Joanne Woodward, I knew, with some decree of confidence, Rolex had bought it. The final two phone bidders were Nathalie Monbaron from Geneva and Tiffany To, from (previously) Hong Kong. Tiffany’s bidder, who we now know to be a Singapore collector, placed an opening bid of $10 million to took the room, and auctioneer, by surprise, however he was more cautious bidding in later stages raising the bid slowly in $100,000 increments. Nathalie on the other hand, speaking in French to her successful client on the phone, was bidding in a very prompt and precise manner, you could say in a very Swiss way. The final bids were NB at 15 million, TT at 15.1 million and eventually NB at 15.5 million. Before Aurel Bacs put the gavel down he commented “It’s not going come back to you Tiffany, EVER, I know where it’s going’. This was an unusual and telling comment from Aurel as any collector could be tempted to sell, or his heirs no interest in watches and sell, only if someone with no financial restrictions and a strong incentive to retain the watch would that comment be applicable, like a corporate company for instance. I heard stories subsequently about a Saudi Prince buying it, or Ralph Lauren, the latter I know untrue as the watch was offered directly to Ralph by (seller) James Cox (James asked me how much to ask, luckily, for him, I talked him out of selling) there were other similar unrealistic tales about the buyer, but sometimes this business is about reading between the lines. In late 2018 Rolex released the new website rolex.org to (finally) focus on their heritage and previous important owners. The Rolex advertising campaign stresses ‘Every watch tells a Story’ and, although it can always be argued Rolex watches have some pretty impressive owners, including dictators and presidents, none come to mind like the passion and influence Paul Newman impressed on the world when he wore his ref.6239 Daytona; a watch he gave away in 1986 because he jumped into a swimming pool with it on, forgetting it wasn’t waterproof and the glass steamed up. Yes, that was the original story James Cox told me. Wouldn’t have made for a good press release though. I would expect to see Rolex, finally, hopefully, open a museum in Geneva hosting their own watches and others, such as the first automatic watches launched by Harwood in 1926 that Rolex purchased the patent for in 1929 and released their own, improved, version of in the form of the Oyster Perpetual in 1931. 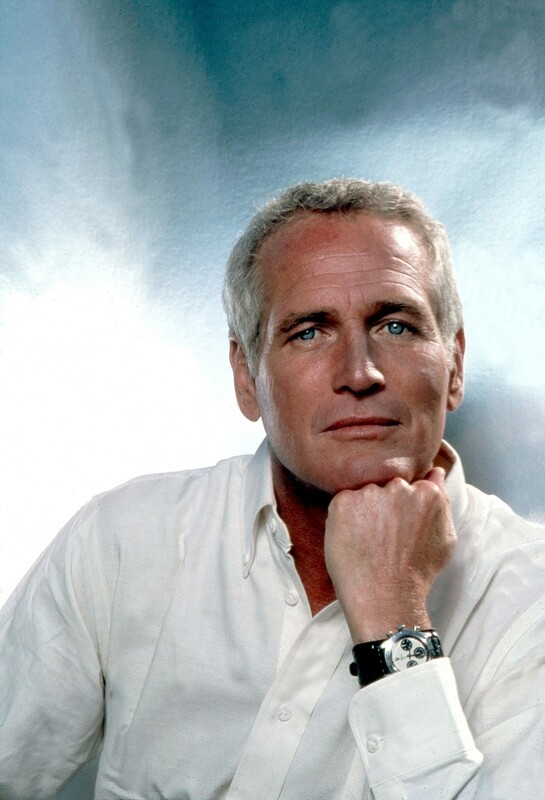 Assuming they do open a museum, among the watches on display I am confident with be Paul Newman’s very own Rolex ‘Paul Newman’. Of course others might have a different view of the unknown buyer, or comment that they ‘know’ who the buyer was and it was a Saudi Prince, especially since Aurel Bacs commented in an interview the buyer was an individual, but knowing Aurel, that was a ruse to confuse. Of course one of the problems with this business is; everyone’s an expert.